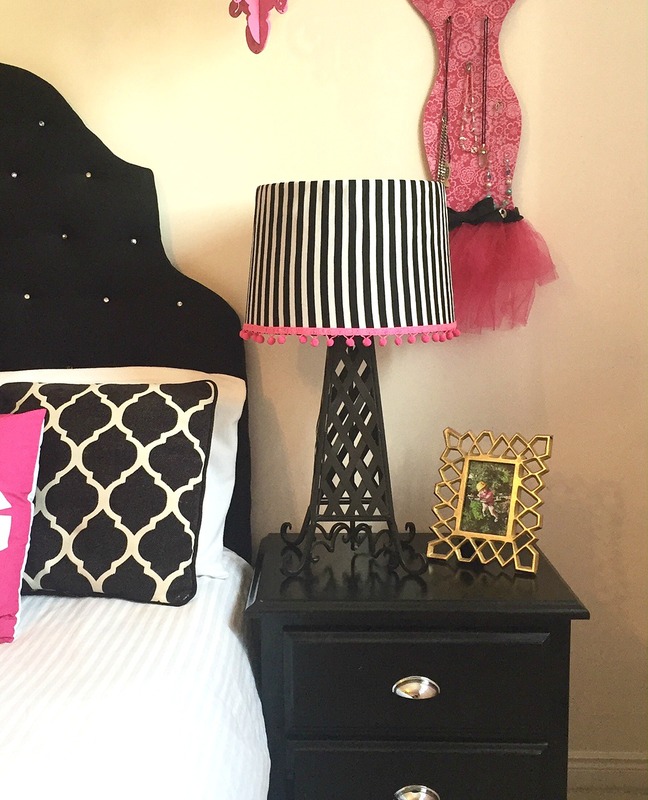 For my oldest daughter’s room, the last remaining project was her lampshade. 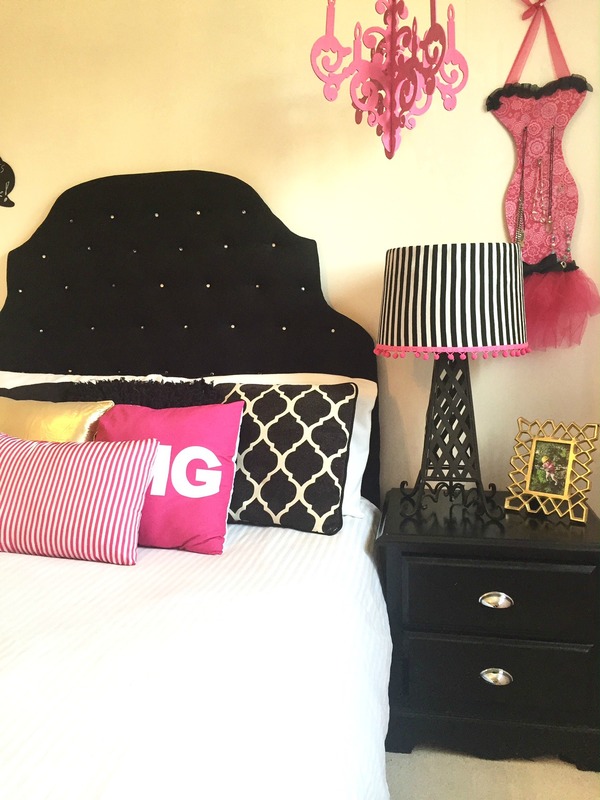 The room is done in a Kate Spade style using black & white, with gold and hot pink accents, so this fabric lampshade was the perfect finishing touch for her space. 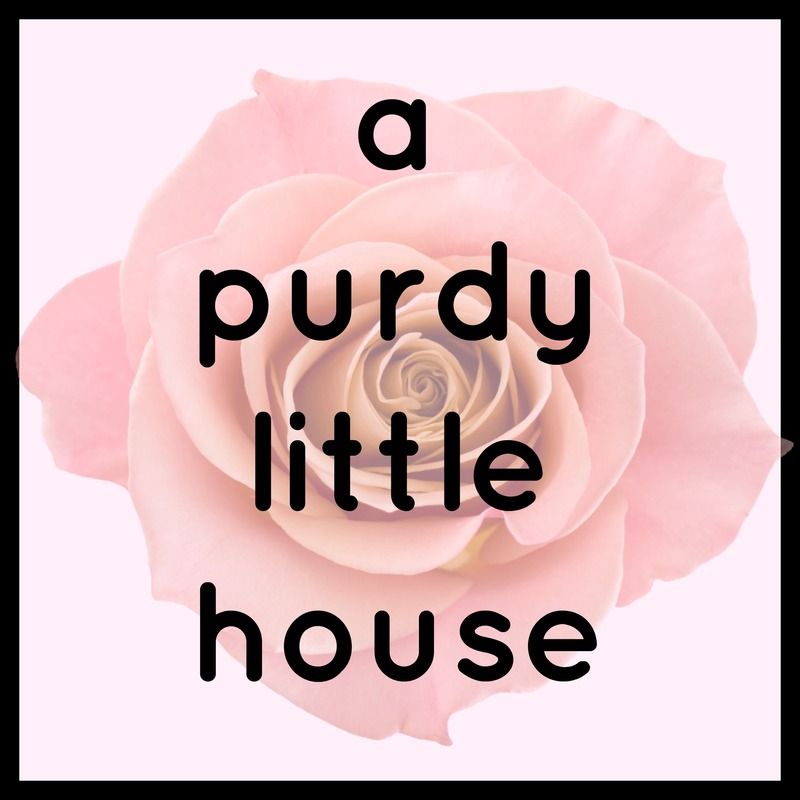 The February #30dayflip challenge, co-hosted by Jeanette from Snazzy Little Things and Meredith from Arts and Classy was the perfect opportunity to get this project finished. 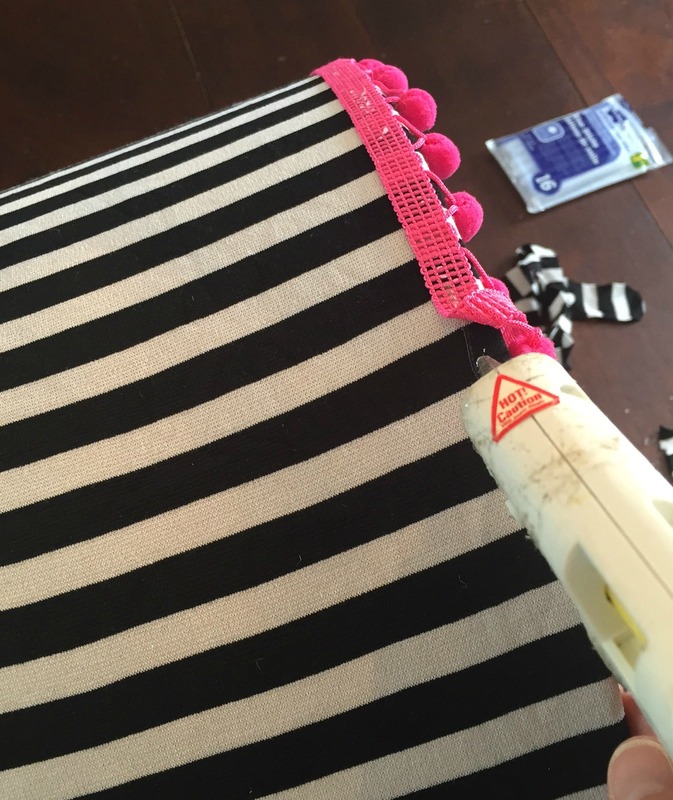 The theme for February was a No-Sew Fabric challenge, and the catch was that the budget had to stay under $20.00. 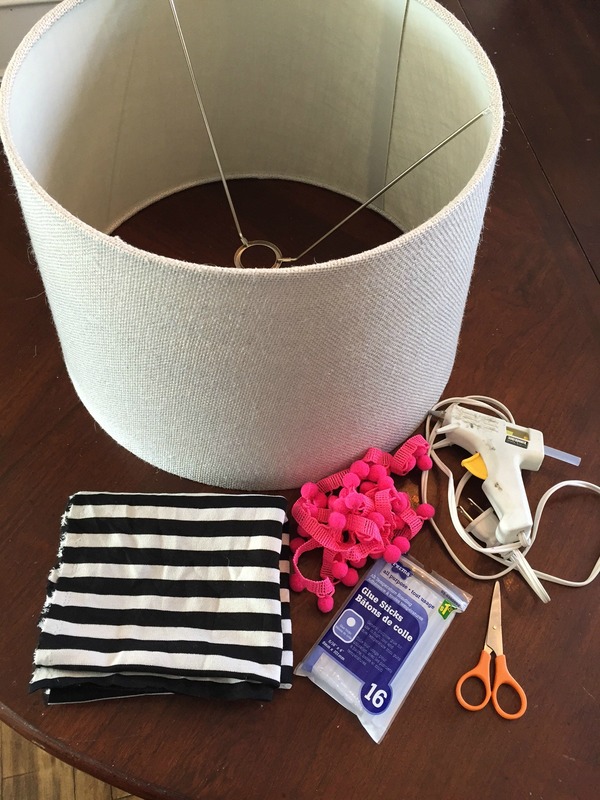 I started off by purchasing a used lampshade for $5.00, the fabric cost $9.00, the hot pink bobbles were $2.50, and the pack of new glue sticks was $1.25. I had so much fun broadcasting the recovering of this lampshade live on Periscope. 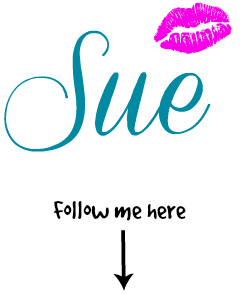 If you want to follow me on Periscope to see more live broadcasts for DIY projects, click here. For those who weren’t able to see it live, I simply went around the top and bottom with my hot glue gun and secured the fabric in place. 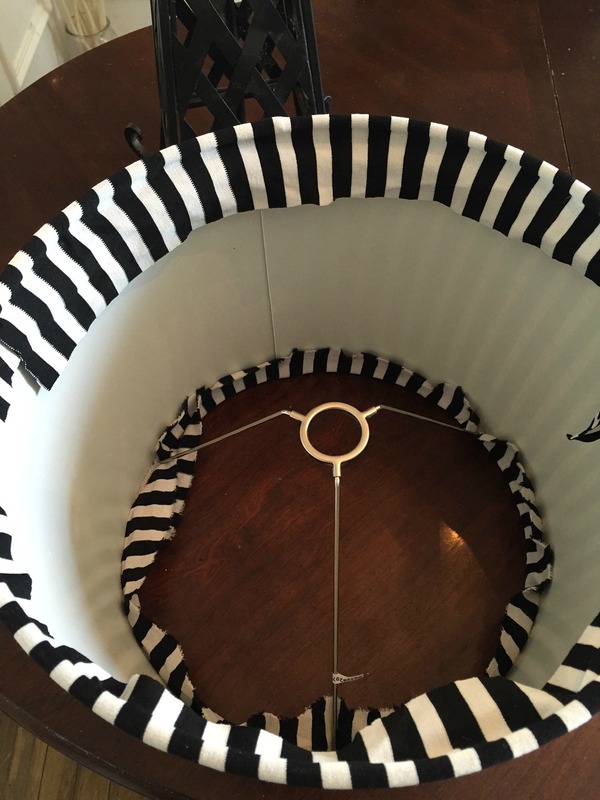 I then snipped off the excess fabric to create a clean look and this fun fabric lampshade started looking pretty cool. I then glued the bobbles to the bottom. These add a cute and youthful element to the lampshade, but it’s totally optional. 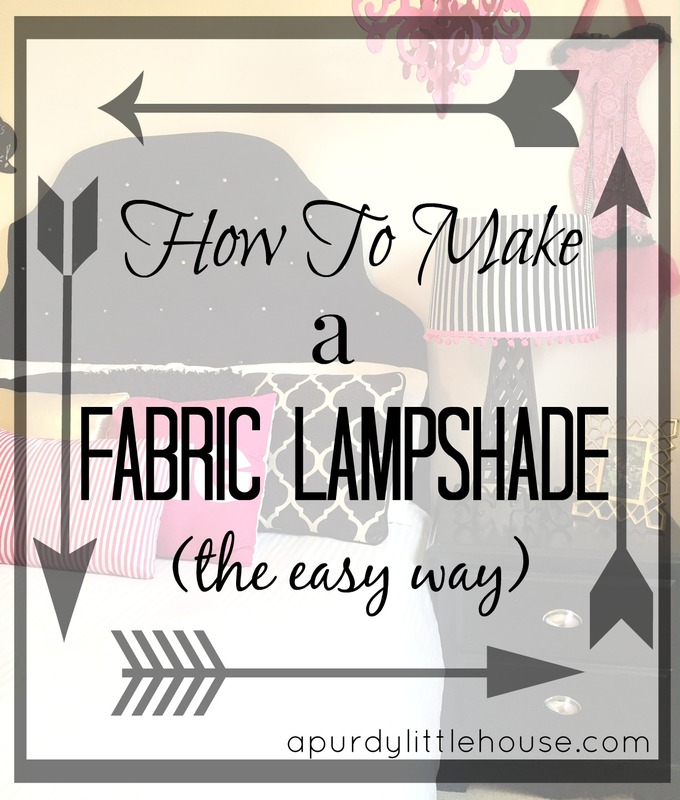 There are some fun options at most fabric and craft stores that would work for any décor. Here it is all finished. It matches the room perfectly, and I’m loving how it turned out. The room finally feels complete, and I’m so happy with it 🙂 If you are interested in participating in the #30dayflip challenges, please click the link below for more details. **Psst: You don’t have to be a blogger to participate. It’s open to anyone passionate about DIY/Home Decor. 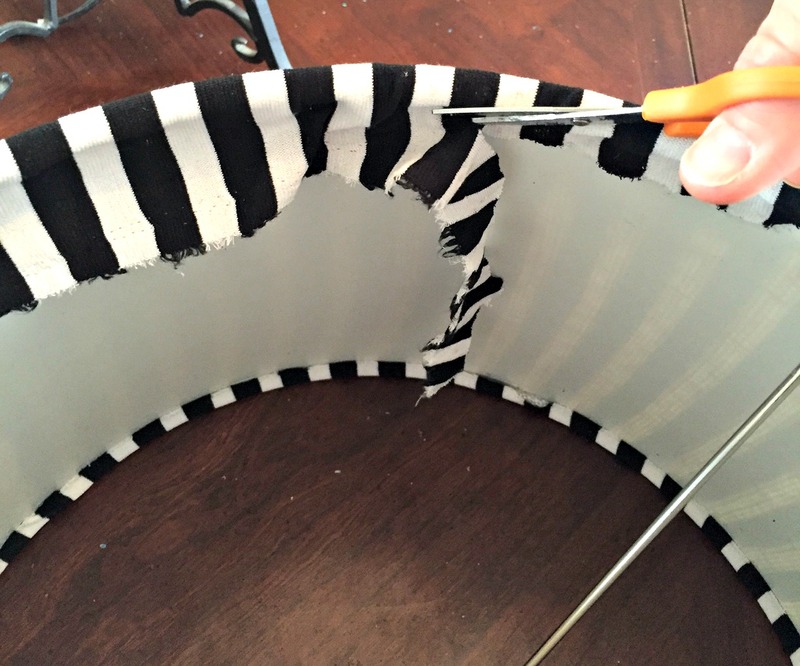 The glue gun is such an awesome tool! 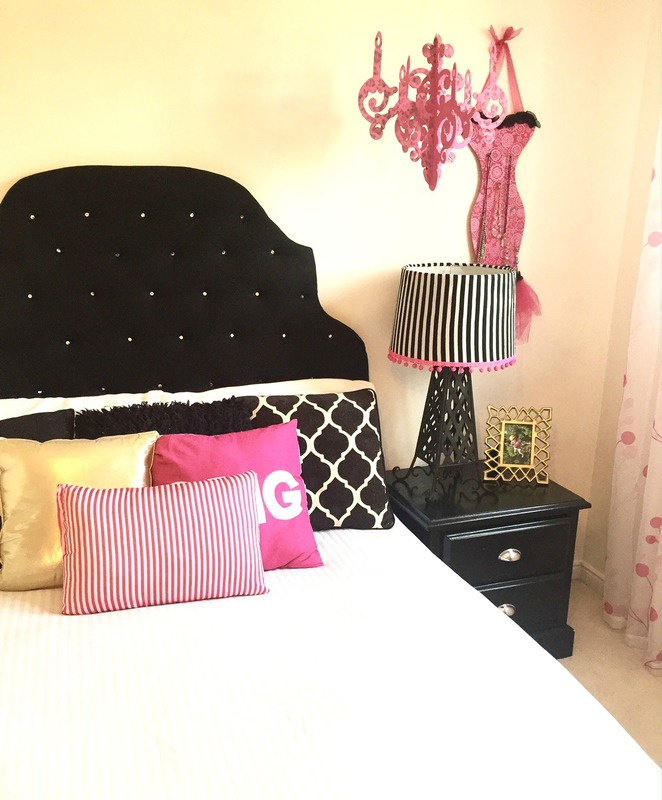 The lampshade looks great and your daughter must love her room. I really hope to be able to follow this successfully someday! Thank you for the tutorial;). Pinning. So easy and fun! Love how it turned out!